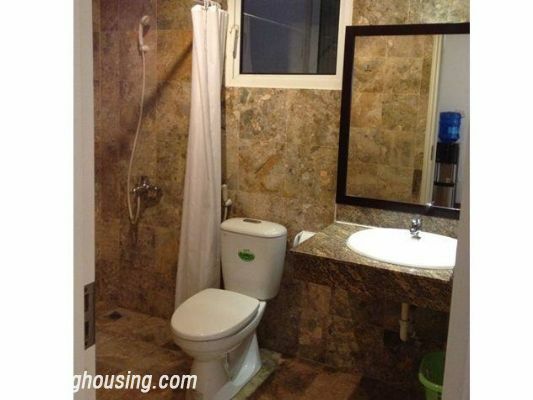 Cozy 1 bedroom serviced apartment for rent in Phuong Mai street, Dong Da, Hanoi. Total living area is 65 sqm and composed of a bedroom, a bathroom, a bright living room, open kitchen. The living room has wide window and balcony. The apartment is fully furnished and well equipped: sofa,tv, dinning table, AC, fridge, washing machine, wardrobes,…..